For many, a holiday to see the Northern Lights will be a once in a lifetime experience. With this in mind, choosing somewhere with the best chance of enjoying this incredible light show is of paramount importance. While no one can predict weather conditions, picking the best destinations to view the Aurora Borealis is much easier – and there are plenty of them. Winter time, November through March, is the best time to get the clearest views of the magnificent Northern Lights. High up in the northern hemisphere, nights are longer and the skies invariably clearer with little or no cloud. Generally, between 10pm and 2am is when the lights are most active, although either side of these times can produce some amazing photographic opportunities. 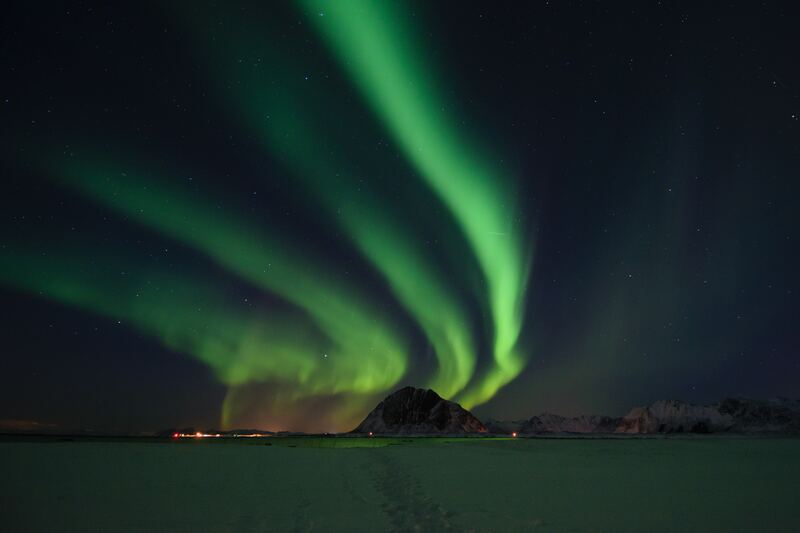 The northern light show occurs over the earth’s magnetic north pole, so the farther north you venture, the better the chance of enjoying nature’s very own breath-taking light show. From North America and northwest Canada, to Scandinavia and even the north of Scotland, the opportunity exists to view and photograph the Northern Lights. Here are a few destinations to whet the appetite. A favourite destination for American, Canadian and many overseas visitors, Alaska is deep in the light zone and provides almost guaranteed viewing. For the most spectacular light shows, especially if you intend some serious photography, move well away from the light pollution of the big cities. Favourite viewing locations are Denali, Anchorage and Fairbanks. If you’re determined to get that photographic shot which features on the front of National Geographic, pack up your photographic equipment and survival gear, and head out into the wilderness of the Yukon. For those who don’t want to endure those long transatlantic flights, northern Europe is a destination favoured by many considering a holiday to see the Northern Lights – and northern Finland is one of the most popular. Some of the best views can be had from Utsjoki, Ivalo, Luosto, Kakslauttanen and Nellim. 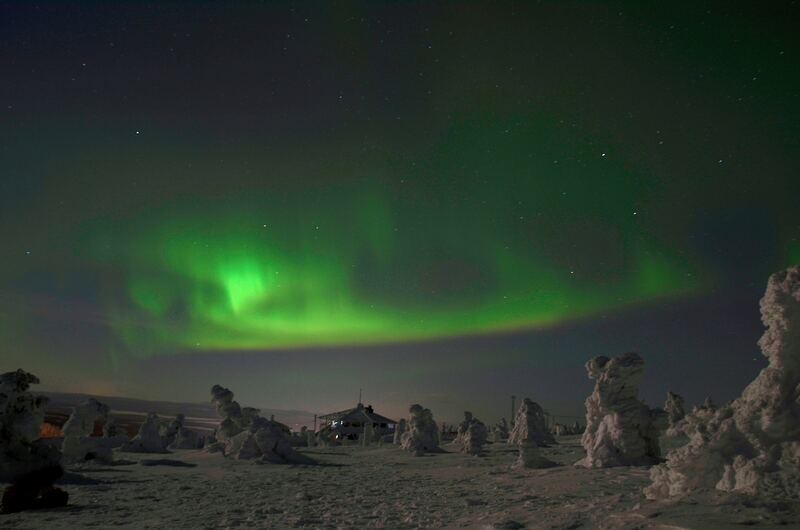 To be sure you don’t miss any of the night’s green and purple light show, consider Luosta. A lot of hotels provide a personal bleeper – to alert you to the beginning of the night’s entertainment. If you want to feel at one with the natives, then a stay at the Kakslauttanen Arctic Resort might be right up your street. Book an authentic log cabin, typical Finnish sauna, and your very own glass igloo from which to view the night sky’s activities. 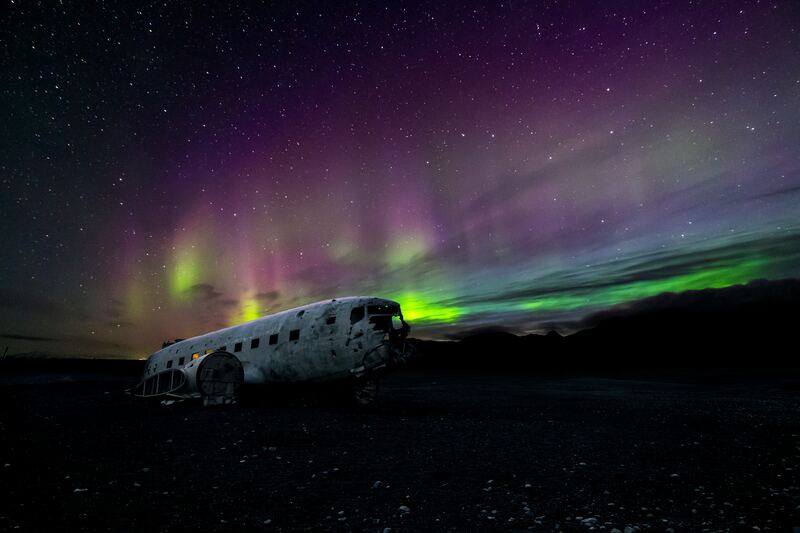 Literally almost anywhere you pick in Iceland, will provide the chance to view the Aurora Borealis. Not forgetting those whose prime intention is to photograph the Northern Lights, here are some prime locations which should provide some awesome photographic opportunities. If you don’t want to venture too far from civilisation, but are still looking for that ‘different’ shot, set up your camera around the old lighthouse in Seltjarnarnes. Although experience says get away from the bright lights to reduce light pollution, setting up at Perlan in the heights will give a fantastic view over Seltjarnarnes city at night. Combined with the Aurora lights, that different shot could be on the cards – if you can get it right. While bathing in Iceland’s oldest lake in the middle of the night might not be everybody’s cup of tea. Combining the northern light show and the reflections off the lake, could provide some great photographs. A popular photographer’s destination, combine the mountain landscape with the nightly light display, to produce that special shot. Whether photography is your prime interest, or you just want to enjoy the light display, Iceland is awash with great viewing areas. Get pampered in luxurious 5-star Icelandic hotels complete with sauna and outside hot tubs, or organise your own itinerary and viewing areas. Norway is a great place to see the Northern Lights. Make sure you pack your thermals and a hot flask, Svalbard is a Norwegian Island deep in the Arctic Circle. Although ideal for viewing the Northern Lights through the November to February season, visiting either side of these months, when the island enjoys its daylight periods, should also provide the chance to view the local wildlife such as reindeer, polar bears and walrus. Norway also offers the opportunity to enjoy a Northern Lights cruising holiday. Cruise liners glide almost silently through the majestic fjords. While you party in the bars, lookouts will warn you when the light display begins. If you don’t like flying, you don’t have to travel that far afield to get the chance to view the Aurora Borealis. Northern Scotland is on the same latitude as areas of Norway and Alaska and, provided you get the breaks weather wise, some fantastic light shows can result. Some of the northern Scottish islands provide great viewing opportunities. While on the mainland, the Cairngorms, Galloway Forest Park, Perthshire and even Edinburg on a good night, all offer the opportunity to experience the greatest light show on earth.